Something to look forward to: Dell’s Alienware gaming brand has been around for a lot of years, but unlike its rivals, the company has kept with its line of beefy, heavy, thick-bezeled laptops—until now. With the release of the m15, Alienware has joined the thin-and-light gaming notebook revolution. Like most modern laptops, the m15 comes with skinny bezels that allow it to pack its 15.6-inch screen into a small area— it's 14 percent thinner and 20 percent lighter (4.8 pounds) than the Alienware 13. As for the hardware, buyers get the choice of an 8th-gen quad-core Core i5-8300H or a six-core i7-8750H. GPU options, meanwhile, come in the form of the GTX 1060 or GTX 1070 Max-Q cards. Like many of its rivals, the m15 lets users pick from either a 1080p@60Hz IPS display (300 nits), a 1080p@144Hz IPS (300 nits), or a 4K@60Hz IPS (400 nits)—no G-Sync, sadly. It also supports up to 1TB SSD drive or dual drives with PCIe and SSD combinations, along with 32GB of DDR4 clocked at 2666MHz. Dell says the m15 will give just over 7 hours of video playback and 13.4 hours while idle with the 60 Whr battery. There’s also a 90 Whr option that ups this to 10.6 hours of video and 17 hours of idle time. Other specs include the mSeries keyboard that comes with 1.4mm of travel, customizable lighting across six zones, an updated cooling design, and support for the Alienware Graphics Amplifier—the company’s external graphics card dock. Port-wise, you get an Ethernet port, three USB Type-A 3.0 ports, one Thunderbolt 3 port, an HDMI port, a miniDisplay Port, a lock slot, an audio combo port, and a port for the Graphics Amplifier. 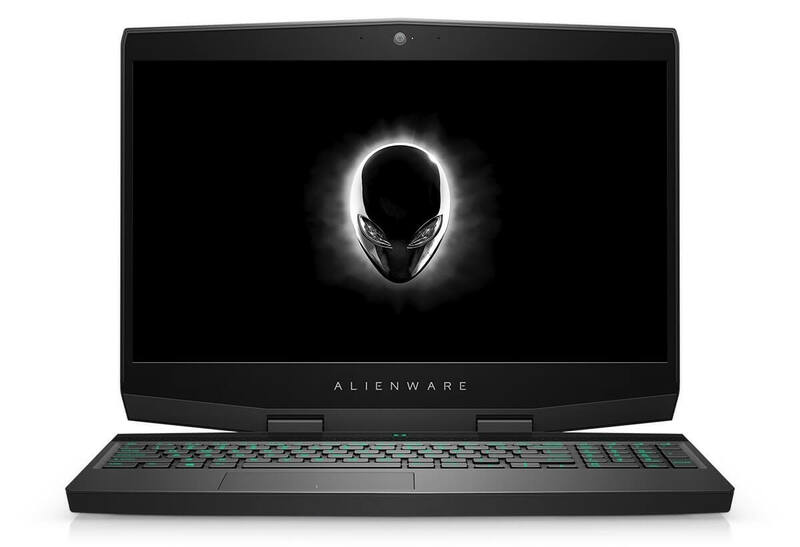 The Alienware m15 will be available from October 25th starting at $1,299.